The Rees Law Firm helps families sort through issues of paternity and fights for fathers’ rights when it comes to their children. If you need to establish paternity to gain legal rights to your children, or your parental rights are in question, contact our firm today. We are compassionate advocates who understand the importance of fathers’ rights and will pursue the outcome you and your children need. Attorney Mark Rees offers free case consultations when you call (870) 931-2100. Paternity actions are methods for establishing legal rights or responsibilities with respect to a child. They seek to confirm whether a man is the biological father of a child and therefore guaranteed rights under or bound by the laws of Arkansas. The law presumes that children born inside a marriage are legally the mother’s and the father’s, but particularly in situations in which the parents are not married, paternity might be contested. Even if a man’s name is listed on a child’s birth certificate, he does not necessarily have legal parental rights. Sometimes, paternity will be in question, and the father will need to initiate an action to establish that he is the father of the child and should have full legal rights to custody and visitation. An attorney can help you during these situations. If you are working through issues of paternity and parental rights, contact the Rees Law Firm today. Fathers’ rights with contested paternity – If you are being denied your legal rights to custody and visitation under a situation of contested paternity, our firm can help. You have legal rights that should not be dismissed and that are highly important to your children. Custody arrangements with unmarried parents – When parents are unmarried, the law automatically gives custody to the mother. 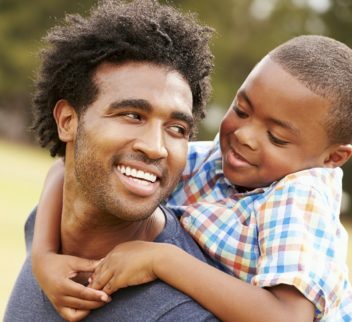 To gain complete fathers’ rights under the law, it is best to establish paternity prior to the court determining a custody order. Our law firm will pursue this action for you to make sure you and your child are both protected. Issues of child support – In Arkansas, in order for a father to be ordered to pay child support, the child must have been born during a marriage, or a paternity action must be pursued (in the absence of a full agreement between the parents). If you are seeking child support, our firm can help you navigate the legal steps to achieve a court order. Contesting legal responsibility – Sometimes, rather than proving paternity, people want to disprove paternity. This might occur in situations where child support is being pursued when paternity is in doubt. Our firm will work through the issues with you to make sure the extent of your legal obligations is clear. At the Rees Law Firm, we understand these issues are complex, emotional, and involve sensitive matters. We are highly professional litigators who value confidentiality and client trust. We can assure you your case will be managed with compassion and dedication when you work with our office. Contact us today to speak with an attorney about your potential paternity action and how we can help you secure your rights. The largest reason to hire an attorney during cases of paternity and fathers’ rights is the value of your rights. Your rights are important, and your child is important. You should not give up because you think you cannot win or because you think you cannot handle the process of litigation. Our attorneys will guide you through the process and make sure you are comfortable with every step of the proceedings. Undeniably, paternity actions and the pursuit of fathers’ rights are often emotional and contentious. Working with an experienced attorney will ease the stress of the situation and ensure you achieve the results you deserve. Not only do you deserve to see and care for your children, your children also completely deserve that. Rees Law Firm will stand by your side and fight for your rights so that you can focus on your children and what matters most to you. Contact our firm today to discuss your legal needs and begin the process of protecting your rights. Attorney Mark Rees has more than 20 years’ experience trying family law cases in court, including extensive experience with paternity actions. Our firm offers consultations at absolutely no cost to clients and can schedule same-day consultations in our Jonesboro office. Contact the Rees Law Firm at (870) 931-2100 today to schedule your own attorney consultation.